Wind energy may soon be less expensive than conventional forms of power in Northern Ireland. The Northern Ireland Renewable Industry Group suggests that onshore wind projects could soon produce less expensive electrical power than new gas projects taking form in the region. By 2020, wind energy is expected to become a leading power source for Northern Ireland, which will allow it to become more sustainable and environmentally friendly. This may also help Northern Ireland save money on energy expenditures in the future. According to the Northern Ireland Renewable Industry Group, wind energy has been able to grow less expensive due to supportive energy policies. 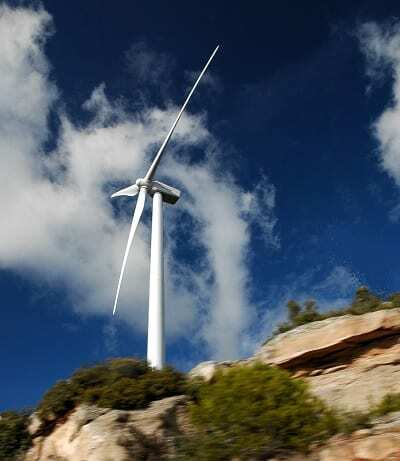 The United Kingdom has been supporting wind energy relatively aggressively in recent years, hoping that this and other forms of clean power will help it become more environmentally friendly. In 2015, wind power alone satisfied 20% of Northern Ireland’s energy needs. As such, government officials are calling for more support for clean power, ensuring that wind projects continue to receive the support they need. In April of this year, support for wind energy will diminish due to cuts being made to subsidies. This has received criticism from those using wind power. Farmers, in particular, have expressed concern over the cuts being made to subsidies. These farmers had elected to install single wind turbines on their properties in order to take advantage of government programs that provide them with funding for the electrical power that they generate. The Northern Ireland government has plans to generate a significant portion of its electrical power through renewable resources by 2020. In order to reach this goal, it may need to show more support for wind energy. Notably, offshore wind projects have been growing more popular and may become a valuable resource for the United Kingdom as a whole. Offshore projects are more expensive, but they have the potential to generate more electrical power than their onshore counterparts.